Huawei is going to introduce a smartphone with a curved display at the Mobile World Conference (MWC) that will be held in Barcelona on February 24th. Huawei, a Chinese multinational telecommunications equipment and consumer electronics manufacturer, is going to introduce a smartphone with a curved display at the Mobile World Conference (MWC) that will be held in Barcelona on February 24th. 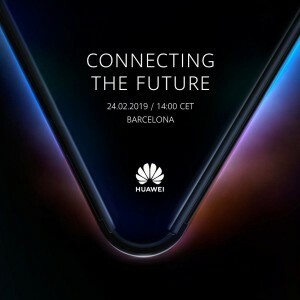 According to a picture that was posted on the company’s Twitter account, Huawei will hold a press release conference at the MWC naming “Connecting the future,” at CET 14:00 on 24 February 2019. 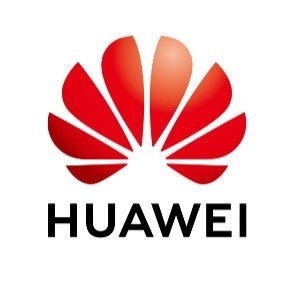 The picture comes with a curved mobile phone display and the logo of Huawei. It’s easy to find out what is the new product that the company will introduce. The GSMA Mobile World Congress (MWC) is the world's largest exhibition for the mobile industry, incorporating a thought-leadership conference that features prominent executives representing mobile operators, device manufacturers, technology providers, vendors and content owners from across the world. The post didn’t mention the name of the foldable smartphone or reveal any details about how it can be folded. However, the CEO of Huawei Richard Yu (余承东) said at a pre-MWC 2019 briefing in Beijing that the foldable smartphone will be featured with a 5G modem. During the presentation, Richard Yu also claimed that Huawei's 5G modem—which will also support 2G, 3G, and 4G—offers wireless speeds 10 times faster than 4G and twice as fast as Qualcomm's 5G modem, the X50, according to Forbes. Smartphone giants like Huawei, Samsung, and Xiaomi are being rumored about their foldable mobile phones in recent days. Samsung confirmed the first details about its foldable phone at the Samsung Developers Conference on November 7, 2018. When it gets released, it could start the next major revolution in the mobile phone industry. Samsung didn’t confirm a release date in its announcement but indicated a release in 2019. Xiaomi’s Mi Mix also made a case for “edgeless” displays in 2018, even though the so-called edgeless display is still in the form of a concept image.